These interactive, doe-eyed toys were the most sought-after toy of the 2016 Holiday season and the fervor hasn’t died down yet. We can’t blame kids for loving this hot tech toy. They arrive in a confetti-covered egg and with a little coaxing and a lot of love they will hatch within 20 minutes to an hour. Kids can raise their Hatchimal through 3 stages, from baby to toddler to hatcha-kid. Their animated eyes let kids know what their Hatchimal needs are and kids can interact with their new friend by teaching it to talk, walk, and even dance. Interactive games and skills are unlocked as the Hatcha Baby grows. This toy is more than fun, it teaches kids responsibility, nurturing role playing, empathy and cause and effect. Who doesn’t remember this childhood favorite? Well, it’s still around and it’s still a must-have. 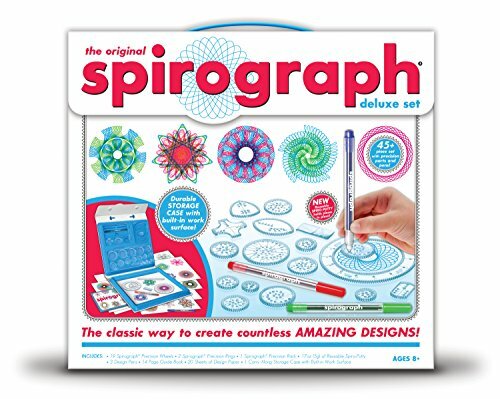 The original award winning Spirograph is even better today than when first released in 1965. The deluxe set includes a 14-page instruction book for spectacular designs, 3 design pens, 19 wheels, 1 rack, spiro-putty and 20 sheets of design paper. The box is a handy case as well as a work center, so kids can keep all of their spiro-gear and design in one neat, ready-to-use place. Art and math are married in this clever, imagination building toy that will keep kids from 8 to 88 busy for hours. Our top 10 list of kids’ gifts wouldn’t be complete without at least one LEGO set. And what better choice than one that allows kids to recreate scenes from the uber popular Minecraft video game? 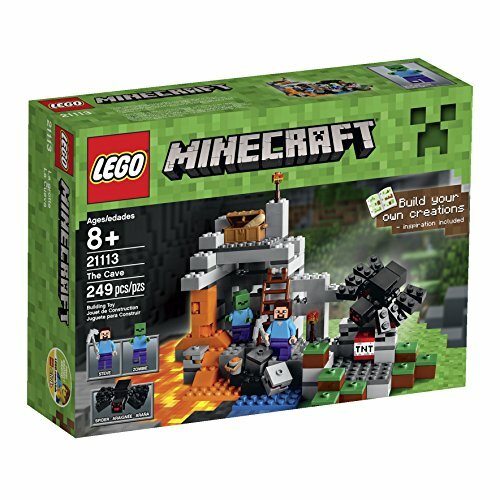 This 249-piece set can easily be combined with other Minecraft sets to recreate the world of the hit video game. Kids can build the Minecraft cave, “dig” for obsidian with the included pick axe and build a giant spider. Minifig Steve can fight off the included zombie figure or set up a TNT trap. Bricks included can create a waterfall, lava, coal, redstone, iron, gold, a torch, a ladder and a chest of bread. The world of LEGO lets imaginations loose with 3D play that’s perfect for kids ages eight and up. Billions of combos make the Rubik’s Cube the world’s #1 brain teasing puzzle. Even after 40+ years, the Rubik’s Cube will seemingly never go out of style! 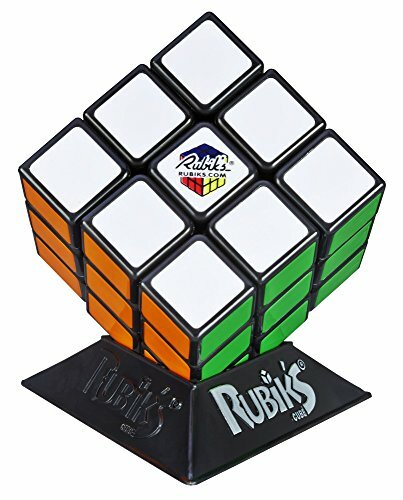 With every twist and turn, kids will love the challenge of trying to match the colors on all six sides of the cube. Hand-eye coordination, increased focus and critical thinking are all employed as kids work through the possible combinations to solve the cube. Hasbro’s Rubik’s Cube can take tons of twists, turns, and countless hours of handling without coming apart. Kids from eight and up (yup, parents too) will love the challenge of the Rubik’s Cube. 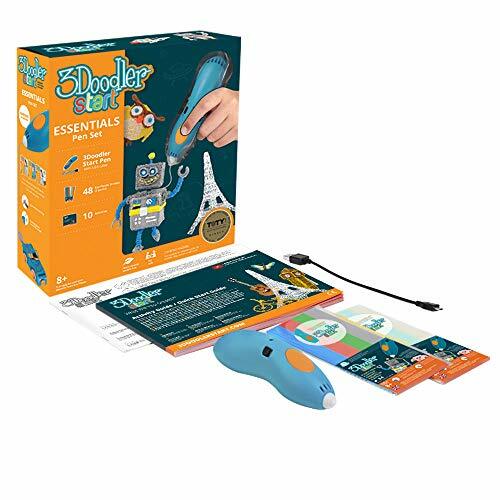 The 3Doodler will bring out the artist, the engineer, and the creator in all kids ages eight and up. Kids can literally write on air to create 3D designs that come to life. The kit includes everything a young visionary will need: a detailed activity guide for cool design ideas, 3D pen, 48 strands of eco-friendly assorted colored plastic, and a USB cord for charging. No worries about little fingers getting burned, the pen (and pen tip) don’t get hot. This easy-to-use, wireless pen has one speed, one temperature and no complicated software — kids just turn it on, insert their plastic colored strand of choice and doodle away. You may want to consider picking up a refill pack of plastic filaments, because creative young minds will go through the included 48 pretty quickly. Refill packs are available in tons of color assortments and even clear and glitter strands.